On Tuesday, Law & Crime Network announced a launch with leading free streaming television service, Pluto TV. The launch follows Law & Crime’s record-breaking viewership last month, which reached over 5 million unique viewers with an average watch time of 30 minutes. At less than a year on air, Law & Crime’s success means the network is growing faster than ever before. Law & Crime will bring Pluto TV’s millions of viewers live trial coverage with high-profile hosts and expert guest commentary. The channel will host Law & Crime’s original programming like Brian Ross Investigates, hosted by Brian Ross, former chief investigative correspondent for ABC News, and The Daily Debrief with Aaron Keller. 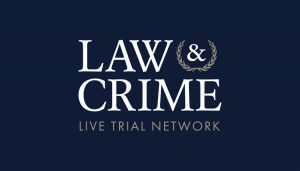 On Wednesday, Law & Crime Network expanded even further, announcing a launch on both XUMO TV, a top OTT television destination for free live and on-demand streaming, and TV Player, the leading OTT television service covering the UK and Ireland. XUMO currently offers 90 TV channels with new content added weekly and is available on nearly 20 million IOS and Android devices throughout the U.S., meaning viewers will be able to more easily access the 24/7 live trial coverage anywhere, at any time.